More than 20,000 Tibetans are currently living in Nepal as refugees, among them members of the Tibetan government-in-exile. China’s growing influence on Nepalese politics could make life for them increasingly difficult. Given that China has become the poor country’s largest investor, Kathmandu recently picked up a more pro-Beijing attitude. Already, the Nepalese government has taken measures to curtail the rights of refugees: For instance, they receive no official documents, their peaceful pro-Tibet demonstrations are broken up by security forces, and border controls to prevent Tibetan refugees from escaping Chinese repression in the first place have been tightened. 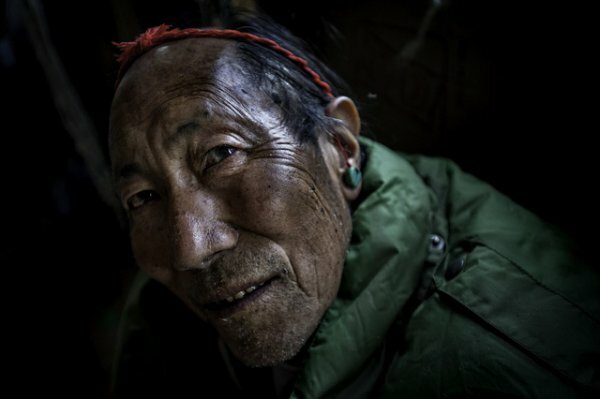 "Before the police could arrest me, I escaped with the others through the back door," said Pasang Chunda Lama. The student wanted to peacefully celebrate the 81st birthday of the Dalai Lama in July along with hundreds of exiled Tibetans. They had gathered in the neighbourhood of Boudha in the northern part of Kathmandu, but before the celebration could begin, police arrived and cleared the area. "We had been preparing the celebration for months," said Lama with anger and disappointment. "We built stages and pavilions and practiced dances and songs," he added. Among the 30 Tibetans arrested were members of the Tibetan government-in-exile. According to Tibetan news agencies, authorities had given permission for the celebration honouring the Tibetan leader. Pressure is increasing on Tibetans living in Nepal as the influence of Beijing in the Himalayan region grows. In 2015, relations between India and Nepal were strained by the six-month blockade of the border between the two countries, for which the government in Kathmandu held New Delhi responsible. This disagreement was triggered by protests in southern Nepal by the Madhesi ethnic group, who felt disadvantaged by the new Nepalese constitution. At the same time, these developments led Nepal to form closer relations with China. "The Chinese government is being generous. It distributed aid after the earthquake in April 2015 and promised investment in infrastructure. In reality, China is cleverly using the situation in Nepal for its own interest," said Nadine Baumann, Executive Director of the Tibet Initiative Deutschland, an NGO. Meanwhile, China has become the largest investor in the poorest country in South Asia. But development aid doesn't come for free. In return, China is requiring stricter security from Nepal along their shared border that stretches 1236 kilometers (781 miles). According to a confidential document from the American embassy in Nepal published by Wikileaks in 2010, Beijing is demanding that Kathmandu strengthens border troops. The document also states that "China rewards Nepalese forces by providing financial incentives for handing over Tibetans who want to flee across the border." China considers the fleeing Tibetans to be a threat to its sovereignty. For the former Chinese ambassador in Nepal, Sun Heping, the exiled Tibetans are "illegal border-crossers and therefore criminals who conduct anti-Chinese activities in Nepal." Around 20,000 Tibetans live in Nepal. Many of them live in former detention camps that have transformed into permanent settlements. The largest communities in Kathmandu and Pokhara constitute up to 1000 people. "There is no perspective in the country, especially for young people who are suffering under policies that are becoming fiercer. There is neither the possibility to integrate into everyday life in Nepal, nor to live with Tibetan identity," said Baumann. Since 1989, Kathmandu has not issued official documents to Tibetans. According to the UN Refugee Agency estimates, half of the refugees living in Nepal have no documents. Without documentation refugees cannot go to school and also have difficulty finding work. Outside of the settlements some refugees have found a niche working in tourism or selling Tibetan souvenirs. There is also an entire industry developing weaving and selling carpets. But officially, Tibetans can work in these sectors only with the possession of a residence permit. A few of them are worried that China could increase pressure on these remaining areas of opportunity. The newly elected Prime Minister Pushpa Kamal Dahal will most likely not change the current situation for Tibetans. He was already prime minister for a short time in 2008, and at the time he guided closer relations with China. In interviews earlier this year, Dahal insisted that relations with China be maintained. "We are striving for a balance of foreign relations between India and China," he said. The aim is to divide investment between India and China. India would get contracts for hydropower and China would finance infrastructure in the context of its new Silk Road project. For Tibetans-in-exile, this means that the influence of Beijing will not diminish in the near future. "In the future it will be more difficult for Tibetan refugees in Nepal," says Baumann. "And it will be nearly impossible that more Tibetans will be able to establish themselves there."